Break noodles into thirds. Cook and drain as directed on package. Rinse with cold water; drain. In small bowl, mix peanut butter, soy sauce, orange juice and red pepper until smooth. 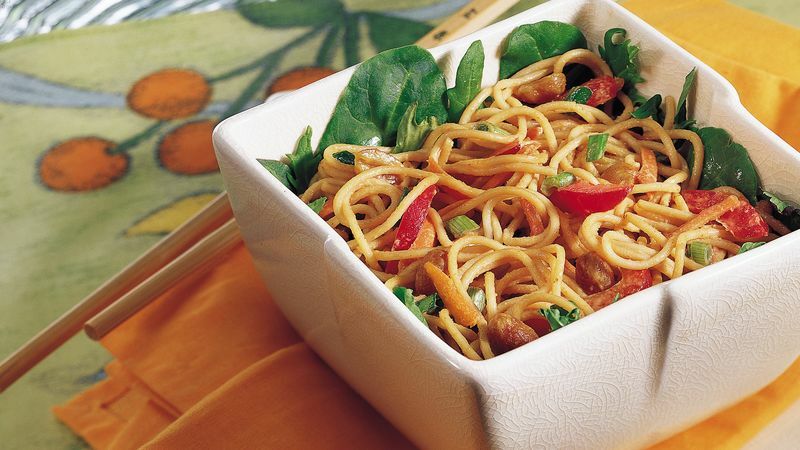 In large bowl, toss noodles, peanut butter mixture and remaining ingredients. Vermicelli or capellini can be used for the lo mein noodles.